Territory of connection. Subscriptions: Russian Federation. 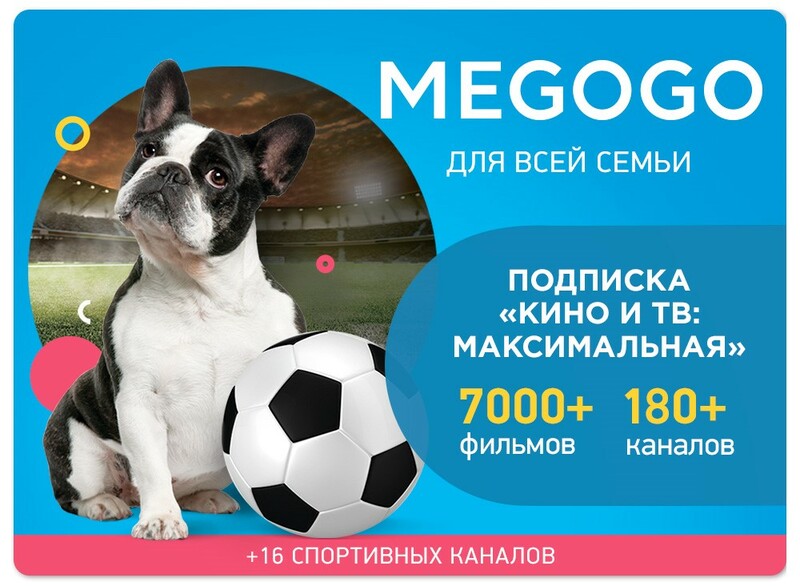 Electronic code Megogo, subscription "Maximum" for 1 month. MEGOGO - movies and TV in one service! Subscription "Cinema and TV: Maximum" from MEGOGO is a universal access to viewing the premium catalog of films, serials, cartoons and entertainment and news television. See more than 180 TV channels, more than 7000 films, serials and cartoons. WITHOUT ADVERTISING! The activation code gives the user the opportunity to access the video content viewing by the Subscription "Cinema and TV: Maximum". The provision of access is governed by the User Agreement, which is available at http://megogo.net/en/rules. Access to content is provided for the duration specified in the Subscription, according to the rules, restrictions and technical requirements specified in the User Agreement. Activation of the code confirms acceptance of the terms of the User Agreement. The activation code is not a security and can not be returned, exchanged for cash, or exchanged for activation codes of a lower denomination. The activation code can be used no more than once. An activation code that does not pass identification in the system or is identified as used is considered invalid. ONLY FOR ACTIVATION ON THE TERRITORY OF THE RUSSIAN FEDERATION. • Samsung 2011-2016 release. MEGOGO application in Samsung Smart Hub. • LG 2012-2016 release. MEGOGO application in LG Smart World. • Toshiba 2013-2016 release of the L5 series. MEGOGO application in the Smart Menu. • Panasonic 2012-2016 issue. MEGOGO application in Vierra Connect. • SONY and Philips 2012-2016 release. - Popular prefixes and media players, including Dune, Aura, Rombica, etc. - Enter the activation code in the appropriate field. - Enter the activation code in the appropriate field and click "Use". If you have any questions, please contact support at support@megogo.net.